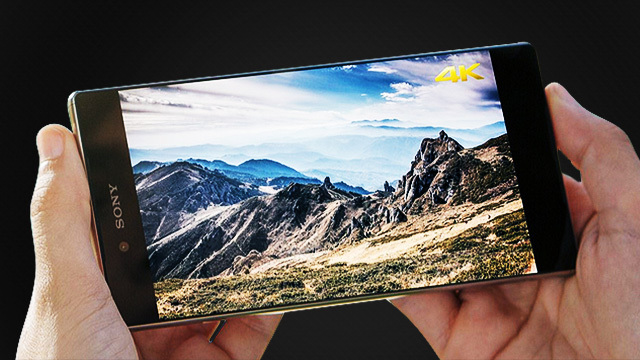 As if saying HD is oh-so 2012, Sony went ahead and unveiled something your eyes we love: The world's first 4K smartphone! Dubbed the Xperia Z5 Premium, it boasts a 5.5-inch touchscreen with an unheard of resolution of 3840 x 2160. That's four times that of Full HD (1920 x 1080)! Whoa! For the clueless, 4K is seen as the next big step in terms of consumer display resolutions. It delivers (in theory) the kind of visual quality you'd expect from a cinema camera, thanks to the sheer number of pixels it has. Just imagine watching por..., erm, NBA highlight videos on it (momma there goes that man's pawis!). Now you know why we're stoked about this bad boy. But, mind you, the Xperia Z5 Premium brings more than an elite-level screen. In other words: It's a 4K octa-core monster with a complete set of wireless connectivity options that eats your mobile, multi-tasking, and selfie chores for breakfast. DAMN.